Last month, at our D11 conference, Sony CEO Kaz Hirai said that his company would bring its Xperia Z smartphone to the U.S. shortly, and the company is delivering on that promise. 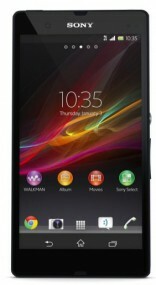 Today, T-Mobile announced that it would be the exclusive carrier for Sony’s flagship Android smartphone. It should be available in the coming weeks with T-Mobile’s Simple Choice plan, but an exact release date and pricing were not disclosed at this time. First introduced at Mobile World Congress, the Xperia Z features a five-inch, 1080p HD touchscreen, a rear 13-megapixel camera, and is water-resistant. The smartphone will also support T-Mobile’s 4G LTE network, which just went live in seven markets, including Washington, D.C., Las Vegas, Phoenix and Houston. On paper, the Xperia Z compares nicely to other high-end Android smartphones on the market, like the HTC One and Samsung Galaxy S4. But Sony faces an uphill challenge, particularly in the U.S., where it has struggled to make a name for itself in the mobile phone business — something Hirai readily admitted at D11. 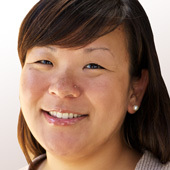 “We still have a lot of stuff to do here in the market. There is no question about it,” said Hirai. Part of the problem is that many of Sony’s smartphones haven’t been available through a U.S. carrier, so customers have had to pay a few hundred dollars for an unlocked version. Bringing the Xperia Z to T-Mobile is a step in the right direction, but keeping it an exclusive will limit its reach. The Galaxy S4 and HTC One are available from multiple carriers. Hirai said that the company is increasing marketing efforts around the phone, and believes that Sony’s history in making top products in other parts of the electronics business can help it make better phones. 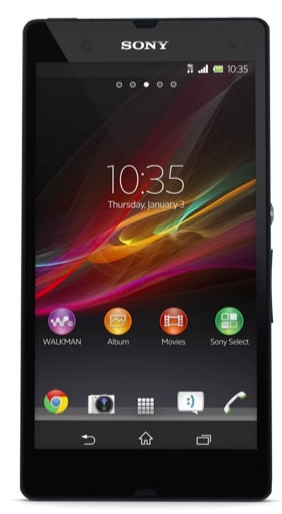 The Xperia Z, for example, uses technology found in Sony’s TVs and cameras. “I firmly believe the DNA is there to be back in that position,” said Hirai. We’ll update you as soon as we have more information about release date and pricing. Till then, customers can sign up for email updates here.